Apple released a new model of the MacBook that includes some features from the MacBook Pro such as “the full metal body, backlit keyboards, glass trackpads and LED screen backlight”. The MacBooks are available for $1299 and $1599. The older design (white MacBook) is now available for $999. 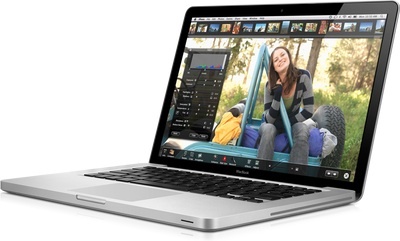 The new MacBooks include the NVIDIA GeForce 9400M graphics processor with 256MB shared SDRAM. The $1299 model includes a 2.0 GHz Core 2 Duo with 3MB L2 cache, 2GB DDR3 RAM, 160GB HDD. And The $1599 model includes a 2.4 GHz Core 2 Duo with 3MB L2 cache, 2GB DDR3 RAM, 250GB HDD. The MacBooks are missing a FireWire port, though.